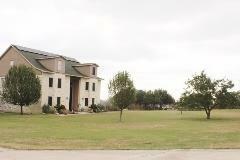 Here are the active MLS listings of Homes for Sale in Oak Forest Buda. Call Jim at 512.913.1557 if I can assist you. 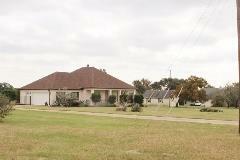 Neighborhood Location: Oak Forest is located north of FM-967 on the west side of Buda. From Buda, stay on FM-967 across FM-1626. Turn right at Oak Forest DR where the Oak Forest sign is located. From Austin, turn right from FM-1626 and head west. The data in the table below provides a 8-year snapshot of the Oak Forest real estate market. Oak Forest Buda real estate market data from the Austin Board of Realtors, 1/1/2011 - 12/31/2018. 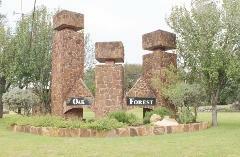 Oak Forest is a very nice community on the west side of Buda, TX. All of the homes in Oak Forest are custom-built. Sales prices so far in 2017 (through October) sold for $436,000 to $605,000. A survey of the sales since the neighborhood's inception in 1996 shows homes that have from 1,678 to 5,400 sq. ft. of living space. The last home was built in 2013. These homes feature 1-2 stories, 3-6 bedrooms, 2-5 baths. They typically have 2-4 garage spaces, and are built on sites of 2-5 acres. There may be a vacant lot or two for building your custom home. Homes in Oak Forest will usually have been updated over the years to make them more appealing to the owners ... and to future buyers. Homebuyers in Oak Forest may be able to find a dream home with a swimming pool. They are common in the neighborhood. These 2-5 acre sites are likely to have a lot of trees, though some will have more than others. If a home with lots of space to the next door neighbors is on your list, a home in Oak Forest may well be for you. You will find room to run or walk in Oak Forest. The Oak Forest community has a Property Owner Association. Fees, which run around $180 annually, are used for common area maintenance. The community has no community amenities, like a pool or park for residents' use. 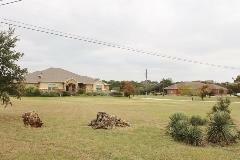 The Hays Consolidated ISD and Hays County are the primary taxing authorities for properties in Forest Oak. There are some other entities that "get their share" of taxes paid by Forest Oak property owers. The total tax rate in 2017 was about $2.25 per $100 of property valuation. Oak Forest Subdivision: Shopping, Recreation, Etc. Those who live in Oak Forest have access to many Buda-area eateries and shops. A short ride west on FM-967 will get you to the Downtown Buda area (Main Street and FM-967), with its local city hall, small businesses and restaurants. A trip from there on Main Street toward IH-35 will get you to the area occupied by Cabela’s outdoor sports store, a WalMart, a HEB grocery store, Walgreen's, and a lot of eateries (Chili's, Logan's, Cracker Barrel, for example). Travel South to Kyle to visit Kyle Crossing, Kyle Marketplace, The Village at Kyle, and Kyle Town Center. Shoppers can find in these four retail developments stores like Super Wal-Mart, Lowe's, Target, Home Depot, Ross, HEB and many other smaller places. The Village at Kyle is home to the Seton Medical Center Hays. Check out the Plum Creek Golf Course in Kyle if you love to golf. The City of Buda and the City of Kyle have municipal parks throughout the area. Other popular destinations include Southpark Meadows in South Austin, and the Tanger and Premium Outlet centers in San Marcos. Oak Forest students attend schools operated by the Hays Consolidated Independent School District. The currently asssigned schools in the school year 2017-2018 are Carpenter Hill Elementary, Dalstrom Middle and Jack C. Hays High. A new high school is being built near Elliott Ranch on FM-967 west of FM-1626.